With yesterday being the conclusion of New York Fashion Week I deemed it the perfect time to feature a Fashion Business for our third Black Business Friday. 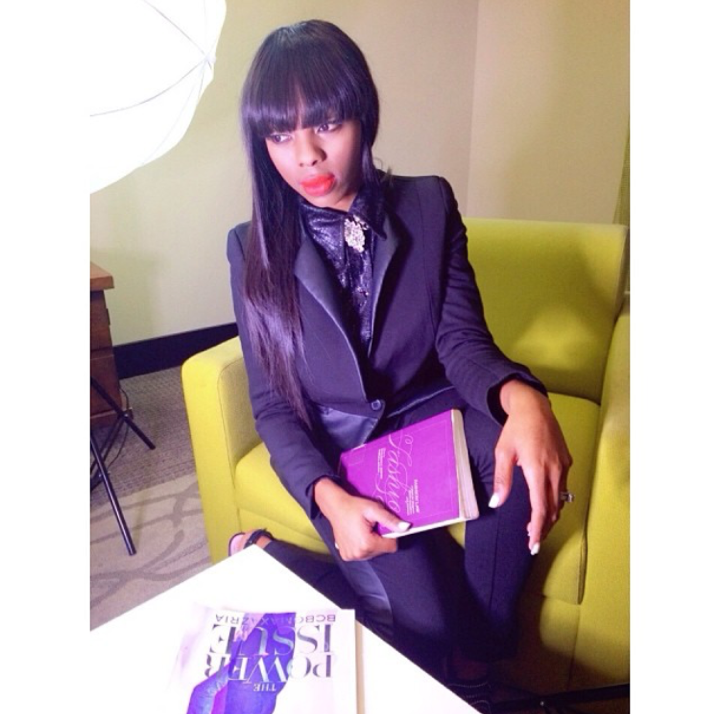 This week I would like to introduce Angeliqua McNair the creator of The FashionPreneur. The FashionPreneur is a fashion, apparel, and retail brand accelerator agency. The FashionPreneur was created to help provide management expertise giving direct resources to help accelerate growth and profitability for companies operating in the fashion, apparel, retail and cosmetics industries. As we all know fashion is the prevailing mode or style. Fashion is a language of signs, symbols and iconography that non-verbally communicate meanings about individuals and groups (status). Fashion enables us to make ourselves understood with rapid comprehension by the onlooker (other individuals). I come from a family where appearance matters. Especially being raised in church. I used to admire my grandmother Wallace because she used to create her own church hats. My aunt Mitchell always dresses to kill. My mother had so many shoes that is basically her entire walk in closet, and my First Lady pastor Lois outfits was to die for. I mean from her hats, to her apparel, to her shoes. She did it for me every time. I believe fashion was in my blood since birth. I studied fashion illustration and fine arts and design in Ronald Edmonds Learning Center MS 113. A magnet school for young creatives. From there on I went to the high school of Art & Design in New York majoring in fashion design with a minor in fashion advertisement. During my junior year I knew I didn’t want to be a designer. I had my professor Ms. Delbriege sew all my projects LOL!! So I told her I wanted to be more involved with the business of fashion and work for a magazine or be a lawyer and work in fashion. Do you know now you can do both? You can be a Fashion Lawyer! So exciting. Who/what inspired you to start The Fashionpreneur? Going to an art school and being a senior at the Art Institute of Atlanta majoring in fashion marketing management made me want to start the Fashionpreneur as well as my fashion peers. I felt like something in the market was missing to help upcoming and established designers make a living doing what they love by having and building a foundation for their brand. Someone they can go to for advice and help. I wanted to create a community of like minded individuals that can learn from each other all while elevating their platform. I currently Manage Nina Bourda a brand in San Fransico, an upcoming magazine, a luxury consignment and personal shopping business, as well as Savvii formal wear; a formal wear family owned business focusing on men’s tuxedos. When it comes to choosing brands to work with I base it on three things. Are they really passionate about fashion or do they just want to just make a quick buck? Do they know what it takes to build a fashion brand and or they willing to put in the work? Are they willing to make sacrifices to make their dreams come true? The Fashionpreneur provides brand development services, fashion marketing, fashion management, web design, SEO optimization, fashion and retail brand management as well as brand coaching. Where do you see the Fashion Preneur in 5-10 years? I see the Fashionpreneur growing. I see the Fashionpreneur being a huge community of fashion entrepreneurs all over the world. 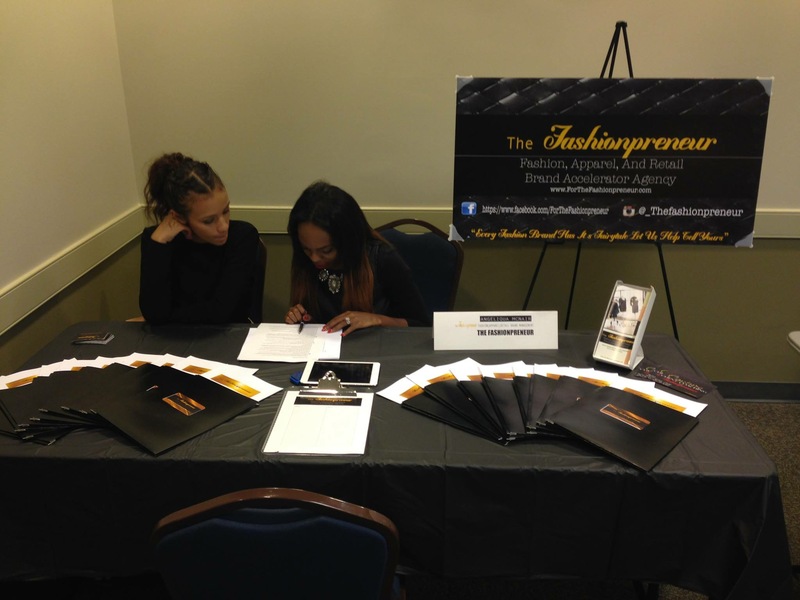 The Fashionpreneur will offer books, scholarships, and education. The Fashionpreneur will be a huge company with our dream clients offering services to help develop and establish fashion brands in the fashion industry. How hard was it to start your own business? I don’t believe starting your own business is necessarily hard. When I started the Fashionpreneur I had quit my job of being a business manager at Dillard’s in Atlanta. Then finances became crucial in helping my fiancé because I didn’t want him to have a heavy burden and responsibility on taking care everything in our household so I said now is the time to turn my passion into a pay check. When starting a business you have to make sure you build the foundation before just jumping out there. Business plan, marketing plan, contractual agreements, registering your business name or trademarking it. Having your own business isn’t a walk in the park there’s a lot of finances, accounting, and business management you have to keep up with. What is the most challenging part of building a brand? The most challenging part with starting your own business is making sure you stand out amongst your competitors. Fashion is an over saturated industry and you have to make sure you set yourself apart from the competition. Staying consistent and innovative with marketing and social media strategies is a must. My goal is to be a woman of substance and to be an inspiration to other young women by keeping your standards as high as your heels. Mentally, financially, and spiritually. Having platforms such as The Fashionpreneur helping other fashion entrepreneurs get to where they want to go inspires me and motivates me to work twice as hard. I just want to be a living example to young women in this industry that you can turn your passion into a pay check making a living doing what you love. Be sure to visit ForTheFashionPreneur.com and follow via Instagram @_thefashionpreneur! For our foodies we have SweetsBySteez. For our stationary lovers we have MaeBPaper.